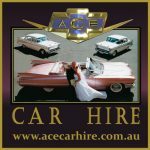 Experience just a taste of the glamour of the 1950’s when you arrive in style at your wedding, school formal or other special function in a Classic car. 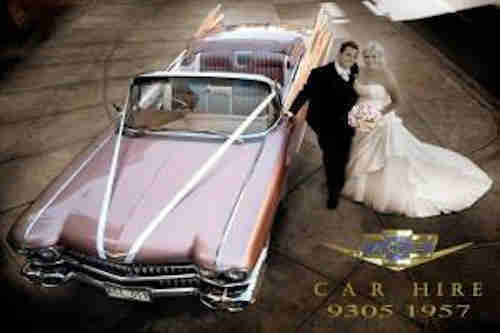 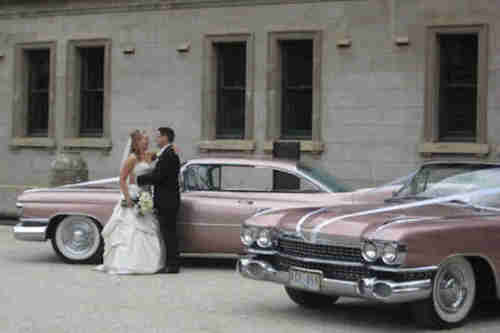 You will adore their range of tastefully modified Pearl White 1957 Chevrolets and unique Pearl Pink 1959 Cadillac convertible and Coupe de villes which add that extra bling to your important event. 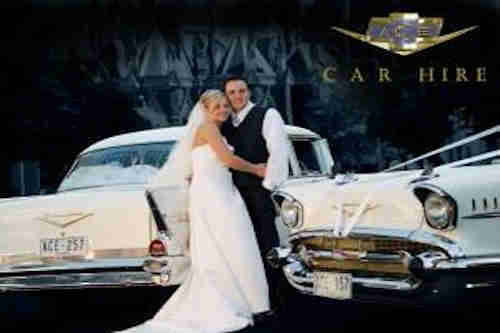 With Ace Car Hire, you will experience total luxury and a professional service like no other.